“With the room still heavy after the Onegin aria, Woodbury next matched the stillness with “The Magic Flute’s” “Ach, ich fuhl’s”. In contrast to her first aria, she continued to show her emotional versatility and innate musicality through her perfect ebb and flow phrasing with crisp German diction. 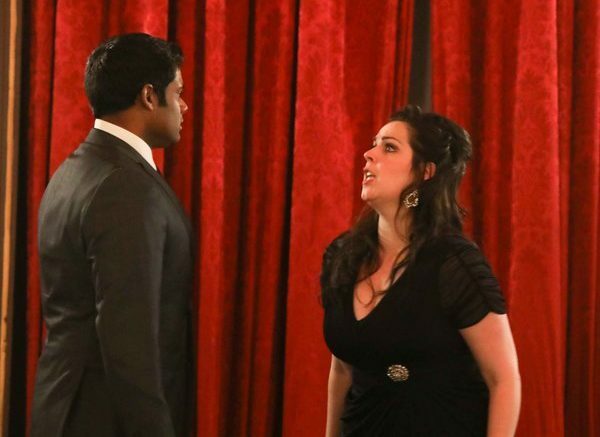 Sean Panikkar (tenor) and Amanda Woodbury.